Shop Calgon Refreshing Body Mist Hawaiian Ginger (8 oz. )8 oz. 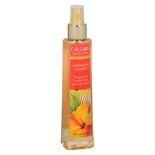 Shop Calgon Refreshing Body Mist Tahitian Orchid (8 oz. )8 oz.